The first release on CD features Richard Lainhart’s masterpiece in its original 29-minutes-version. There’s no single second to add, after this time everything is told though nothing has been said. Back in 1974, one year before Brian Eno’s first landmark in Ambient-music, some young musician from New York wrote down a fragment of beauty’s hidden story with the minimal vocabulary of sine waves on the young black skin of a Moog synthesizer. "White Night" was composed and recorded in the late fall of 1974 at the State University of New York at Albany in the Coordinated Electronic Music Studio (CEMS). CEMS was created by my composition teacher Joel Chadabe with design and custom fabrication by Robert Moog and was, at the time, the largest integrated Moog modular synthesizer studio in the world. The piece consists of a dense, continuous four-note chord, each note in the chord recorded in a separate pass to one track on a Scully 4-track studio recorder. Each track consists of a single sine wave oscillator which is frequency modulated by a group of eight additional sine wave oscillators. Those oscillators are all tuned to different tones, each harmonically related to the fundamental chord tone. The amplitude of each harmonic oscillator is continuously varied under the control of an individual sequencer, and each sequencer is free-running - that is, the sequencers are not synchronized to each other, but rather running in their own independent timebases.The result is a continuously-changing complex harmonic waveform which modulates the frequency of the chord tone oscillator, generating a continuously-changing complex timbre based on the fundamental pitch of the note. The center tone of "White Night" is 212 Hz, slightly higher than the G below Middle C. The other notes create a chord consisting of a perfect fifth below the center tone, a major seventh just below the center tone, and a major second above the center tone. "White Night" was composed without reference to the standard A-440 tuning system, as we had no such pitch reference in the studio; I just picked a center tone that felt right, and went from there. As such, "White Night" lives in its own pitch world. The title "White Night" came about so: it was late December in upstate New York when I was finishing the piece, and a blizzard passed through town the night of the final mix. As I sat in the glow of the sequencers and tape decks in the University studio listening to the final version, I looked out the window and saw a security light on a building opposite the studio illuminating the blowing snow as it drifted off the roof. All I could see was the snow swirling in the light against the blackness; a moving painting continually drawn, erased, and redrawn, always changing, but always the same. It may sound bleak, but it wasn't - it was beautiful. It seemed to me that the image of the dancing whiteness perfectly matched the sound of the piece, and so I called it "White Night" to commemorate that evening of wind and snow." "Sometimes you just don't know what to say while reviewing a CD. With the first listen, it was already obvious that this one would give e a headache. And no, definitly not because of the music, 'White Night' is incredibly intense in build-up, sound and production. But it's only 30 minutes, and it's just ... Well ... I want more! Richard Lainhart recorded this work in 1974 and there isn't any moment during the CD where you think it sounds aged or otherwise like "70's" sound. The instrument on which it was recorded was the Moog synthesizer at the Coordinated Electronic Music Studio at the State University of New York at Albany. Try Googling it and you will find a few pictures from this monumental machine. Musicwise, 'White Night' can be seen in the same category an quality as the ambient works of Brian Eno (just to have a comparison of something from the same era) and it reminded me also atmospherically to 'Burning Water' by The Anti Group Communication. Big difference would be that this last album was written on a Fairlight if I remember correctly and not a full analog system like the Moog. To make a long story short, Richard Lainhart created a piece of music which now, 35 years later, would be labeled under analog drones the way they are made nowadays by the big drone artists. 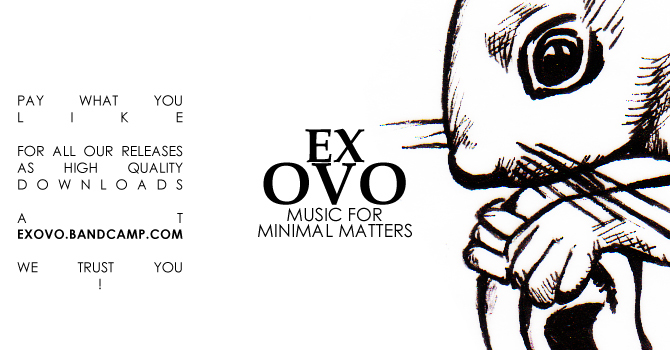 And Ex Ovo might well be the perfect label for this release. (8,7/10)"
"In January 1975 Brian Eno had an accident which brought him into hospital. A friend of his gave him a record of 18th century harp music. After his friend had gone, Eno noticed that the record was played rather softly, but he couldn't get out of bed to turn up the volume. He instead listened to the very soft record and the environment in which it was played. Thus ambient music was born. In 2006, Ex Ovo Records released the compilation 'I, Mute Hummings' and on it was an excerpt of Richard Lainhart's 'White Night', a piece recorded on a moog in 1974. In my review of the compilation I wrote it sounded too much like regular ambient music to me (see Vital Weekly 550). Ex Ovo may have picked this up and added one to one, and thought, 'wow, we discovered a piece of ambient from 1974, older than Eno's original conception on 'Discreet Music' from 1975. If only things were that simple. Over the last thirty years ambient music has developed in all sorts of manners, from listening to pure field recordings to ambient house, rock and what else. The biggest part however is played by musicians who use a lot of synthesizers to create music that fills your environment and makes you feel good. This could, historically, be linked back to Lamonte Young, Terry Riley, Pauline Oliveros and Charlemagne Palestine, the origins of western drone music. Now Ex Ovo releases the whole, twenty-nine minute piece, and, while named after a snowy night on which it was recorded, today it's actually very sunny and not cold here. But the sun provides a sharp light in my room, and the swirling tones of Lainhart's moog are presently there in my environment. Maybe I still think it's regular ambient music, but I must also admit that it's a very fine piece of music. A nice piece of drone music, not unlike the latter day Mirror or Christoph Heeman, or in fact some of Eno's own later work. A solid piece." "exovo als schatzkästchen; ein weiteres mal. "white night", fast 30 minuten lang, ist das für mich bisher perfekteste beispiel dafür, das es möglich ist, musik zu schaffen, die eine unirdisch strahlende, fast gleissende anmut besitzt: ein suggestiver sog reinen schönklangs, kraftvoll als ganzes; fragil im detail; fast sakral im auftritt, ohne auch nur in die nähe von statischen in sich selbst ruhen zu kommen. mit anderen worten, in bezug auf (eine mögliche sichtweise von) ambient bzw. drone: perfekt. und das alles: 1974. noch vor enos definitionsprägenden soloalben, ohne auch nur im ansatz teil dessen ikonenhaften pionierstatus zu werden. vielleicht auch, weil ein stück wie "white night" mal eben 21 jahre im archiv lag. und, neben der zeitlichen ebene, noch eine verflechtung mit eno, dessen output ja auch in verschiedener hinsicht durch technische experimente, bzw. nutzung des frisch zur verfügung stehenden elektronischen instrumentarium bestimmt war: "white night" basiert, wie exovo zu berichten weis, eigentlich auf einer reinen versuchsanordnung, die einen (1!) 4-ton-akkord nimmt und dessen vier bestandteile durch untereinander zeitunabhängig sich verändernde oszillatoren schickt. die dann schimmernde obertöne ergänzen und das, und das ist der eigentlich simple, im ergebnis aber absolut überwältigende effekt, aufgrund ihrer jeweils eigenen timecodes halt andauernd in neuen kombinationen der vier grundbestandteile. für lainhart war die nacht des endmixes wohl ohnehin ein abend, den man nie vergisst, wenn man denn dabei war: während des endmixes herrschte ein schneesturm, der, beleuchtet von einzelnen lichtern in der nacht und beobachtet durch die studiofenster, auf visueller ebene das gleiche getan hat wie richard lainharts stück: sich andauernd aus den gleichen grundbestandteilen neu zu erfinden. ohne brüche, aber auch ohne langeweile. insofern schade, dass sich das treffliche cover (gemälde von gabriele lantermann) nicht so bewegen kann wie dieser schneesturm, damals, 1974." "Think back, way back, to a snow-filled evening in 1974. Earlier in the year, ABBA won the Eurovision contest and, although Kraftwerk had released the monumental ‘Autobahn’, it was still music like Dolly Parton and the nascent Kiss that held centre stage. A young, idealist label by the name of Virgin Records were about to unleash Tangerine Dream’s ambient classic ‘Phaedre’ onto an unsuspecting (and vaguely stoned) public but not even the likes of Brian Eno had come to fully understand the power and appeal of entirely electronic music. This lost work has languished in Lainhart’s personal archives since then, only being briefly available on Richard’s website and in a shortened, remixed form until now. Re-released by the folks at Ex Ovo – fast becoming a haven for solid ambience – the entire piece is now available, unabridged and unaltered. Given its provenance, ‘White Night’ is understandably simple in form. The liner notes tell us that it’s constructed from “a single, four-note chord, whose root waves were sent through separate sine wave oscillators” and then fed out into sequencers to fall in and out of synch with each other, dependent on the machines’ whim. The result is an eerily organic half hour of interweaving drones that lap and beat against each other with a subtle, hypnotic cadence. That such a nebulous and delicate piece should be created during a snowstorm is almost too apt but it’s coincidences like this that musical history is built on. It’s the double-edged sword of re-releases, especially ones that you’ve not heard before. Groundbreaking albums have been broken down and re-hashed, innovative approaches have been copied and re-copied, the new becomes the old. The same year that this was recorded, the Forest Hills neighbourhood of Queens birthed a group of like-named freaks. They were called The Ramones. Punk was only a few years away and there would soon be no place for experimental electronics and indulgent noodling in the minds of a youth fixated on 3-minute blasts of isolation and anger. For me, this knowledge – a record so ephemeral that it was blown away almost before it was even born – adds a layer of melancholy to the listening experience, a requiem for all the music soon to be berated as outdated and pretentious. Electronic music historians will no doubt have snapped this up already and fans of gentle, minimalist drone would do well to follow suit but, whatever you do, don’t approach this with a modern sensibility. Lie back, put it on repeat and drift back to that cold evening in 1974 as the twisting threads of Moog-sound float past you." "Echte Drone Fans aufgepasst (Der Rest darf auch gerne weiterlesen! 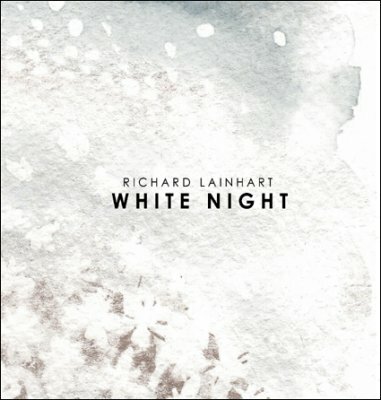 ), die Tonträgermanufaktur Ex Ovo bietet Ihnen mit “White Night” von Richard Lainhart eine historische Aufnahme aus dem Jahre 1974 an, welche echte Anbeter dieses Genres in der heimischen Sammlung haben müssen – ohne Zweifel ein Pflichtkauf! Seit geraumer Zeit betreiben Mirko Uhlig (Aalfang mit Pferdekopf) und Tobias Fischer (Feu Follet) das Label Ex Ovo, welches in überwiegender Mehrheit außergewöhnlichen Drone Publikationen das Licht der Welt schenkt. Bisher erhielt die Konsumentenschaft ausschließlich Opera sehr jungen Datums, die in vielen Ohren (wie in meinen auch) wohl sehr frisch klangen. Jetzt auf einmal graben die Herren eine Antiquität hervor, die den vorherig beschriebenen Eindruck gänzlich überdenken und schlussendlich das Adjektiv frisch gegen zeitlos ersetzen lässt. Heißt, die Technik zur Erstellung von Drones hat sich vielleicht ein wenig im Laufe der Zeit gewandelt, aber die Grundintention des zu vernehmenden Sounds ist über Jahrzehnte hinweg gleich geblieben. Irgendwie beeindruckend, welch klare Linie innerhalb des Segment Drone nach soviel Zeit noch besteht, wo andere Richtungen längst bis zur Unkenntlichkeit durch Einflüsse von Außen dem Niedergang nahe kommen. Richard Lainhart gehört definitiv zu den Pionieren der Drone Bewegung, er studierte an der staatlichen Universität von New York in Albany, wo seine Person im Jahre 1974 im Coordinate Electronic Music Studio das Tondokument “White Night” mit einer Spielzeit von knapp über 29 Minuten aufzeichnete. Richard Lainhart verwendete für “White Night” ausschließlich einen Synthesizer aus dem Hause Moog, dem er futuristische Hochtöne entlockte, die wir, die geneigte Hörerschaft heute 33 Jahre später genießen dürfen. Diejenigen unter Ihnen, die sich wirklich für Drones interessieren, erhalten mit “White Night” nicht nur einen historischen Beleg geliefert, sondern auch eine entspannende Traumwelt, die den grauen Alltag komplett in Luft auflöst. Wer vermutet, dass Sie bzw. Ihn hier eine “Garagenproduktion” erwartet, liegt völlig falsch. Das Mastering genügt höchsten Ansprüchen und transportiert den gesamten Charme von “White Night”. 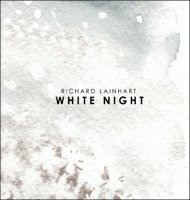 Amüsant scheint innerhalb dieser Rezension noch die Betitelung, welche durch einen Blizzard zustande kam, der über New York hinwegfegte, als Richard Lainhart “White Night” den letzten Schliff verpasste und währenddessen aus dem Fenster dem Schneegestöber zuschaute. Diese hervorragende Dronekomposition erhalten Sie für 10 Euro + Porto über den Webshop von Ex Ovo. Das hervorragende Artwork für “White Night” steuerte Gabriele Lantermann bei, welches die CD in einem besonderen Licht positioniert. Ein Schmankerl für Dronefetischisten, die gerne eine Reise in die Vergangenheit tätigen möchten. Neueinsteigern hingegen bringt “White Night” entweder den richtigen Unterbau für weitere Hörstudien oder den ersten Anstoß, sich mit Drones intensiv zu befassen. “White Night” ein Klassiker, den Sammler von Droneoeuvres im Schrank haben müssen – absolute Kaufempfehlung! Volle Innovationspunktzahl, weil “White Night” zu den echten Anfängen des Drones gehört!!!" "Electronic music technology has evolved dramatically over the last thirty years, a change often reflected in a musician's output: as the tools have increased in sophistication, the music has grown more refined and polished. Once in a while, we find an artist whose clarity of vision enables him or her to transcend the limitations of technology, and whose youthful music elicits the same response as their contemporary creations. One such artists is Richard Lainhart, who has been a pioneer of electronic music for over thirty years, creating complex and ever shifting sound worlds from the gamut of available instruments. His recent releases, including the April 2008 album The Beautiful Blue Sky, are only available by download (in mp3 or FLAC format), and his most recent physical release is a reissue of his 1974 piece White Night on the German label Ex Ovo. Lainhart's music can be characterized by slow and quiet drifting, overlapping events swelling in and out, revolving around fairly static harmonies. He described White Night's intricate compositional process for Ex Ovo, but the results belie the careful planning behind the months of work. White Night shimmers, the long sounds hanging in space like a mobile quietly turning in an ambient breeze. Considering that the piece is from 1974, when synthesizers and sequencers were making inroads as pop music instruments, and a year before Brian Eno's landmark ambient release Discreet Music, White Night could have just as easily have been composed last week. The biggest difference between Lainhart's music in 1974 and in 2008 is that the instruments have progressed to the point where the sounds he achieved in 1974 with a few months work in a well-equipped academic studio can now be improvised on the spot. The Beautiful Blue Sky gathers six of Lainhart's most recent recordings, performed in real time with a highly sophisticated performance controller from Haken and a contemporary analog synthesizer from Buchla. The title track is a superb example, a rolling texture of warm harmonies, constantly moving but never arriving. Orchestra of the Damned is cinematic with all of its texture changes, from sparse, quiet sounds to constant, siren drones, including a remarkable section reminiscent of the earliest electronic works from Cologne and Paris of the 1950s. But Lainhart uses the live performances to create extended melodies as well. Four Voices, for example, starts with a wide frequency spectrum like a jet airplane taking off in slow motion, but then launches a melody over a slowly evolving harmony, sounding almost like one of Robert Fripp's soundscapes. Even more surprising (until one is reminded that Lainhart occasionally plays vibes in swing bands) is Lines of Sand, whose rhythmic underpinning supports a growling, slinking and very expressive bass lead. Many contemporary musicians take their inspiration from natural processes. Lainhart's musical models come from clouds, flames and waves, whose nebulous and ever shifting formations are the catalyst for his beautiful electronic works."